DR DONALD CLUCAS AND WHISPERTECH. In 1816, inventor and Presbyterian minister Robert Stirling improved the performance of hot air engines by adding regenerative heat exchange. Air engines are now generally called Stirling cycle engines as a consequence. His grandfather, heir to the McGregor clan lairdship, had been saved through adoption and a name change (the English had outlawed all McGregors)) by the Duke of Stirling, so perhaps they should be called McGregor cycle engines. Stirling sounds better somehow. Robert Stirling, by an abstemious life and choosing his parents carefully, lived nearly forever and eventually attained the official title; "Father of the Church of Scotland". One of his sons, James, became a prominent engineer, and another became finance minister for the independent nation of Hawaii (before US tourists annexed it), but these things are by the by. The origin of air engines pre-dates Robert Stirling; Sir George Cayley, best known as the father of heavier than air flight, proposed a similar engine before 1800, and there were even earlier progenitors. Stirling cycle engines have seduced generations of engineers by their theoretical promise of high efficiency. Billions of dollars have been dissipated on this dream; careers and businesses dedicated to their development have foundered with monotonous regularity in the 210+ years since Cayley. In 1961, when just 15 years old (my, doesn't time fly! ), during a Canterbury University open day, I fell in love for the first time; with a Philips 102C Stirling engine. The Philips (of Eindhoven) Stirling engine program started in the 1930's and wasn't finally canned until the obligatory multi-millions had been dissipated, well into the 1980's. In spite of knowing this dismal history, next door neighbour's kid, Don Clucas and I started a Stirling engine development program of our own in 1988. 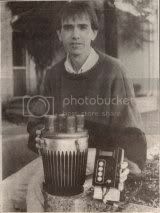 Don, wasn't regarded as academically promising, but loved machine tools. Ours being the closest, from about the age of 13 he basically moved in- and put a lot of time into the development of my portable sawmill invention (which has since become the world standard- but this is another story). As it happens, the educational establishment's opinions about Don had been dead wrong, and when beginning his PhD in engineering some years later, he chose the field of Stirling engines- having caught the disease while hanging around here years earlier. Development started in a company created for the purpose: Stirling Research Ltd. By the early 1990's there was some progress but by then I'd become obsessional about kite buggy and kite sailing development, and was not keeping up my side of the partnership. Don then shifted the project to Canterbury University (80km north of here) and eventually gained financial support from an electricity retailer who contributed the obligatory many millions through WhisperTech Ltd, a company they established for this development. All that has remained in Ashburton are some early development efforts- which, to save embarrassment, should be quietly disposed of before some industrial archeologist noses around. By 2003, after another decade of development and testing, Whisper Tech had completed extensive on-site testing in Europe of their main product; a domestic combined heat and power unit the size and shape of a dishwasher. 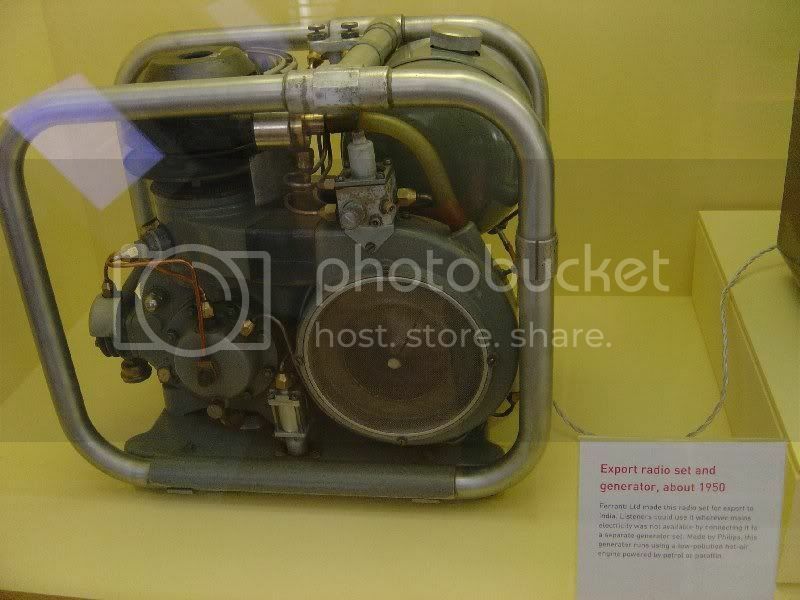 It used reticulated natural gas and a 4 cylinder alpha system wobble yoke (Don's patented mechanism) Stirling engine to generate a bit less than 1kw of electricity, with rejected heat being used for water heating. After 200 years; success at last? Congratulations Don, what a saga- and thanks for letting me acquire a few to play with.